Who will be the next Unduk Ngadau? Unduk Ngadau Kota Marudu – 2010 Crown – taken on Sodop Unduk Ngadau 21 May 2010 @ Kota Marudu, Sabah. What is Unduk Ngadau? 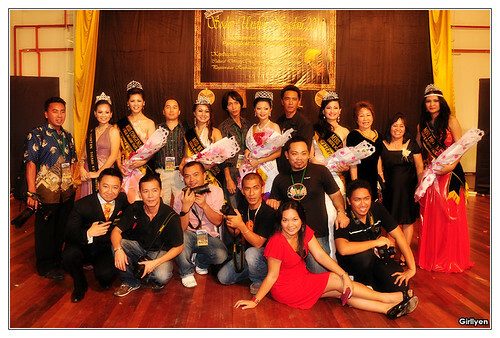 Unduk Ngadau is a beauty pageant or harvest festival beauty competition held in Sabah every end of May. Unduk Ngadau bring the legend of Huminodon the sacrificed daughter of Kinorohingan, the ancient guard of all the nature in Sabah who also believe to be their God long time ago. Huminodun was sacrificed to end the dry season of the people and ended the suffered years. With the legend, in the remembrance of Huminodun sacrifice, Unduk Ngadau or the girl crowned with sunlight is being held as yearly event in every harvest festival celebration. From left: Miss Cahaya Bridal, Miss Popular, Miss Photogenic, Miss Congeniality and Miss Beautiful. ← Wedding Photographer – The hot soup in Sabah? sa x kena jemput :(. sa tia kena bagitau psl ni :(. (jeles tapi glad Pixelayer ada cover for that nite). deiii.. x kna jemput.. sya tumbuk laini..
Wah semua pun cantik cantik kan?. Memang binggung lah tu pengadil mahu pilih hahah.